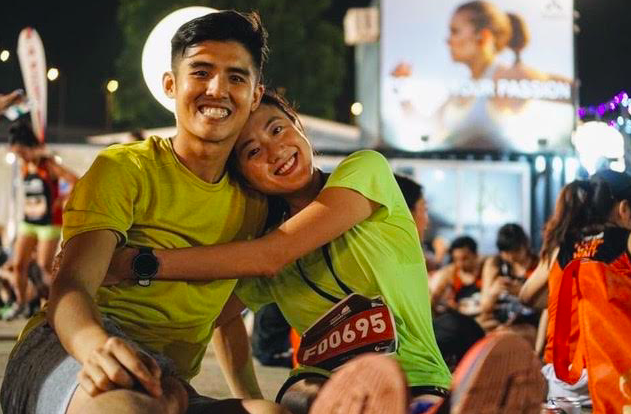 Interview With Yew Wee & Sherlynn: Couples Who Run Together, Stay Together | JustRunLah! Yew Wee – Hi, I am Yew Wee, an amateur runner who aims to be a fast runner eventually. 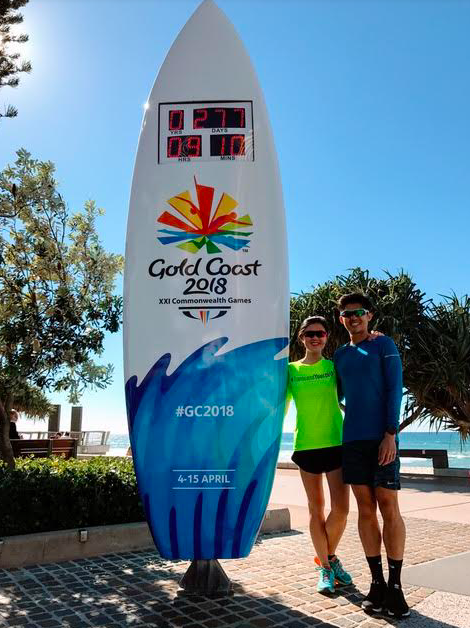 Sherlynn – Hello, I am Sherlynn and I run to keep myself fit, healthy and happy. 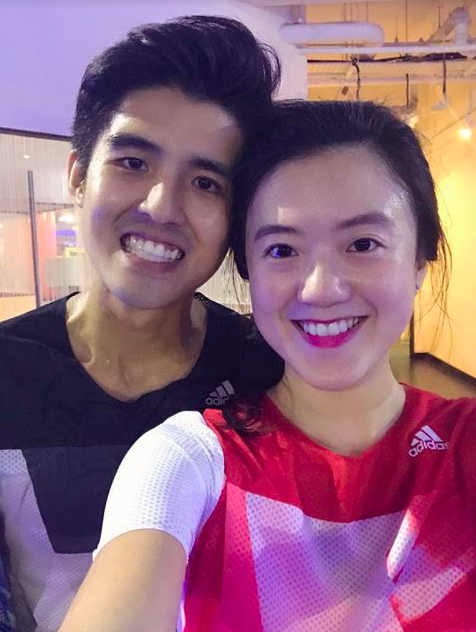 Yew Wee & Sherlynn – We met during our university days in NUS Aquathlon. We were both in the EXCO. Yew Wee – I considered myself to only start running seriously when I was 24 years old during my NUS Overseas College days in Stockholm. At that time, I was doing triathlon in Singapore but it was cumbersome to bring my bike over (to Stockholm) and swimming wasn’t as convenient. Thus I had no choice but to turn to running as my only sport. The running culture in Stockholm was amazing and I used running to explore different places. After coming back from Stockholm, I joined Melvin, John, Nazri and Alvin to train for SCMS (Standard Chartered Marathon Singapore). Being in a positive, thriving group inspired me to train and run consistently. 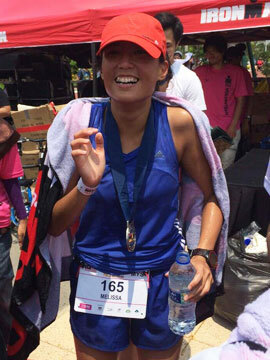 Sherlynn – I used to be a competitive swimmer and joined the NUS Aquathlon team in 2012 when I was 22 years old. I started to take it more “seriously” in 2015 when I took part in the SCMS. The race went badly as I did not train sufficiently for it. That spurred me on to train properly in order to complete a marathon. At that time, it was something I had wanted to check off my bucket list. But after the marathon, I didn’t feel good because I had not trained for it, and that feeling spurred me on to sign up for another marathon to better my timing. Through the process, I got hooked on running and became a routine. Yew Wee – My greatest reward from running has been meeting and being part of the Coney Runners. The camaraderie that we have built through our long painful runs and gruelling rounds around the track is priceless. Through running, I have gained bros that always have one another’s back. Sherlynn – Running brings many rewards, but the greatest would be the mental ‘reset’ and clarity it brings. I can never do a sit-still meditation. Slow run is my form of meditation. It clears my head and serves as an outlet to vent out any frustrations. Today running has become a routine that I have to do every day in order to feel good about myself. Before the race, I had already prepped my mind of the pain to come during the marathon. This quote emphasized to me that I flew from Singapore to Gold Coast, to “enjoy” the pain. Yew Wee – a lifestyle. Sherlynn – about so much more than exercise. It is a catalyst for positive changes, and it affects every aspect of your life.